Chinese users now will be able to use the platforms they are familiar with to access Tmall plus all other Alibaba marketplaces and enjoy peace of mind with shipment, payment and other services and offers tailored specially to their needs. Other than that, Alibaba has also made a major investment in Lazada Group, the leading e-commerce platform in Southeast Asia, which recently launched Taobao Collection in Singapore and Malaysia to cater to local populations that don't speak Chinese. If you don't know yet, Taobao Collection offers a wide range of curated products from electronic accessories, fashion to home and living from Taobao and Alibaba's other marketplaces while providing customers with an end to end Lazada user experience from shopping, payment to logistics. We bet you will be thrilled to know, Malaysians, especially the local Chinese community now can shop till you drop with the "Tmall 6.18 Mid Year Mega Sale" attractive discounts totaling RMB10billion to Mainland China and overseas customers happening from 18th to 20th June 2017. The platform’s Chinese language interface allows the creator of the annual 11.11 Global Shopping Festival to expand to major overseas markets where there is a sizeable Chinese population, besides tapping on local non-Chinese who are proficient in the language. It's time for more Malaysian to start experiencing shopping in a virtual shopping avenue with Tmall. The sale offering discounts of up to 10 billion Chinese yuan (>RM6.27 billion) from more than 180,000 global brands across different product categories such as apparel, home and living, consumer electronics and mother and baby. The promotion can be accessed through Taobao Marketplace (world.taobao.com) or the Mobile Taobao app, Alibaba Group's flagship mobile shopping app. Shopping vouchers: Tmall.com will offer cash coupons of RMB20 (RM12.50) each between 13-20 June for shopping during the sale period; and discount coupons of RMB60 (RM38) or RMB100 (RM63) each for purchases up to RMB300 (RM188) and RMB1, 000 (RM628), respectively, during 18-20 June. Simply obsessed with the gorgeous floral furniture. Did you know it's much easier to shop bulky item such as furniture online now with the new sea freight option? 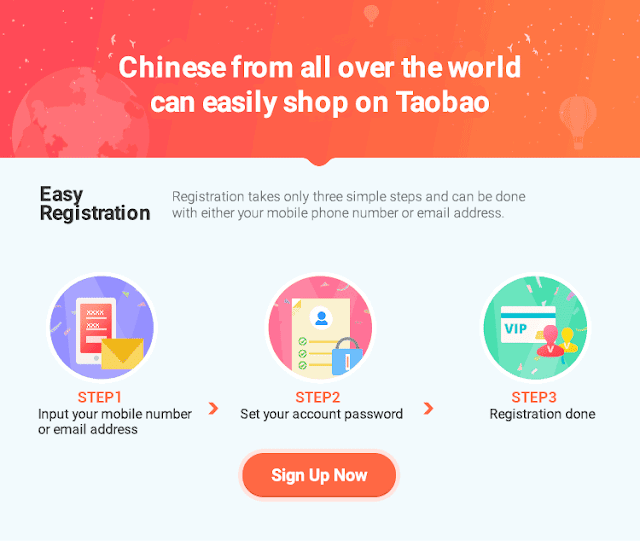 Tmall and Taobao Marketplace introduces new sea freight option available exclusively only for the Malaysian market, applicable to the "Taobao Global Consolidated Shipping" option. This delivery alternative offers Malaysians a lower courier fee ranging from RMB9.5 (RM6) per kilogram excluding the 6% GST charges. It is applicable for individual consignments of up to 100 kilograms each or consolidated consignments of up to 200 kilograms each.